First off I want to let you know that I will be posting more about my Danielle De Barbarac costume at a later date. I can't remember where my other pictures are and I don't really have many anyways. I want to go for a photo shoot soon when the weather's nice. 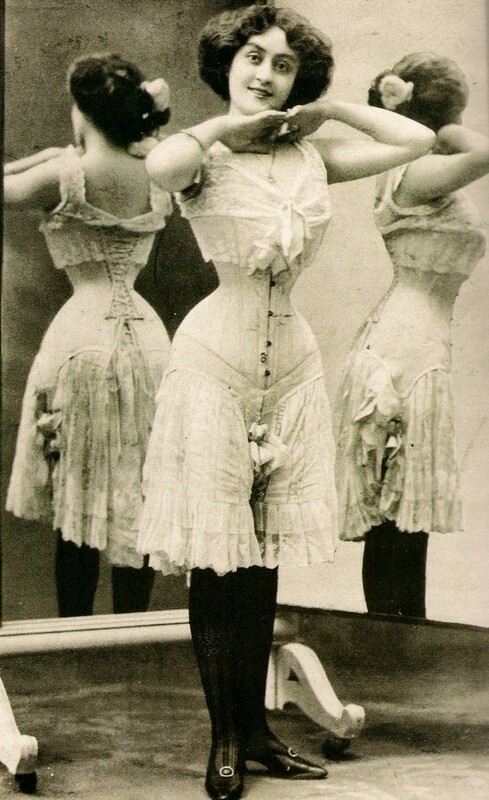 I'm making my first Victorian corset! I'm in the middle of making a mock-up out of muslin material I found in my stash when I was organizing. I had no idea that I had it! I haven't bought the busk or any of the boning yet because I've been having a hard time finding them. I want to use spiral steel boning, which you can not find in any stores. Someone gave me the link to a website that has everything you need for making a corset; everything from the right material to boning. It's Farthingales Corset Making Supplies. Their prices seem to be pretty good, so I'll probably end up buying my supplies there. I recently found out how to enlarge patterns on the computer, so the pattern I'm using is from the book Period Costume for the Stage and Screen by Jean Hunnisett. 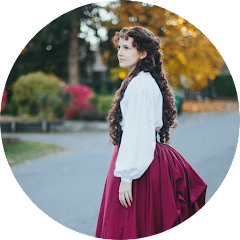 She's written a few books filled with patterns all the way from the Renaissance through the Victorian era. My pattern printed all ready to be taped together. Here's a few pictures of the mock-up so far.